On this handy quick reference page, you’ll find a wish list of invaluable information pertaining not only to all things gardening but also a host of natural remedies, how-tos, and a wealth of other information. With each subject, we provide you a link taking you directly to a pertinent and well-written article that explains in detail everything you need to know about the chosen topic. Would you like tips on how to get an early jump on the tomato-growing season by starting your plants indoors or from seed? We show you how. 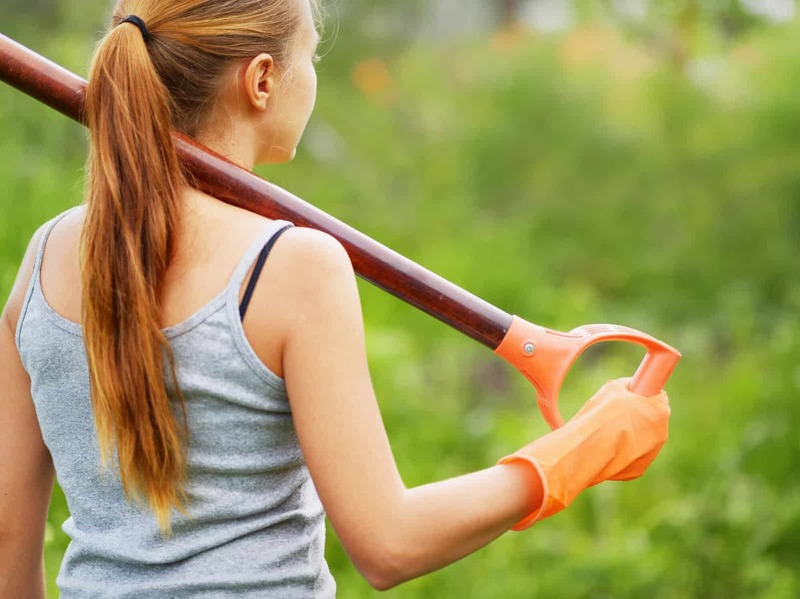 Suppose you want to learn environmentally-safe ways of protecting your garden from all manner of summer invaders using all natural pest control. We’ve got that covered as well. We’ll even tell you about eleven of the best-tasting tomatoes you may not know even exist! From cultivation to composting, from building your own greenhouse to attracting hummingbirds (and everything in between), it is now available to you at the click of a link. Learn the secrets of Nature as you discover how to replicate the symbiotic relationship between plants and fish in this fun and exciting new trend in organic indoor gardening. 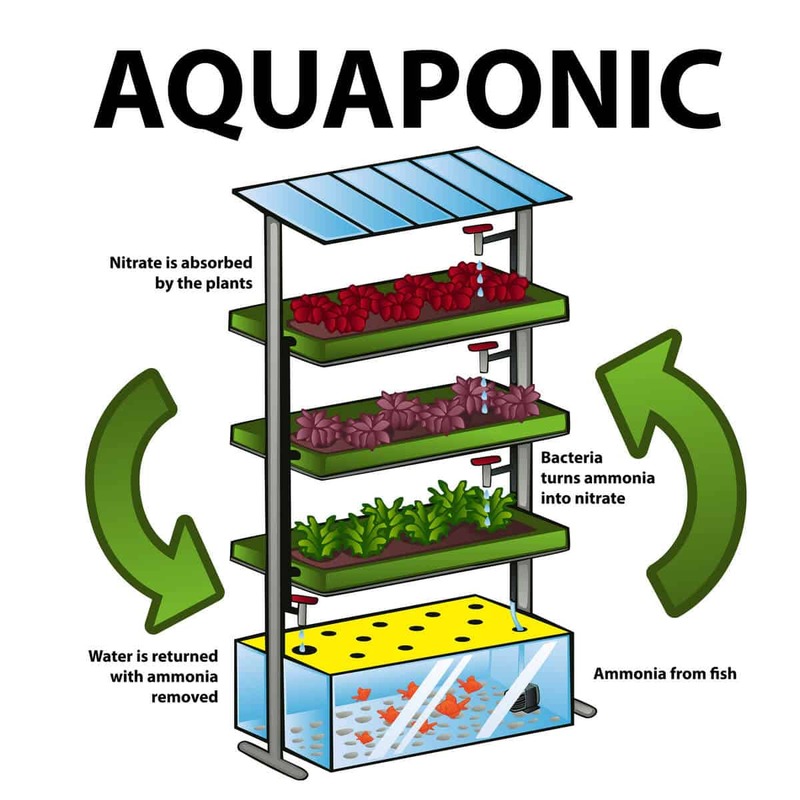 You’ll find everything you need to know including how to choose the correct Aquaponics system. All that and more in one all-encompassing article. If you're not into fish, we have another great guide on hydroponics so if you want to do some hydroponic gardening indoors, check out the AeroGarden. 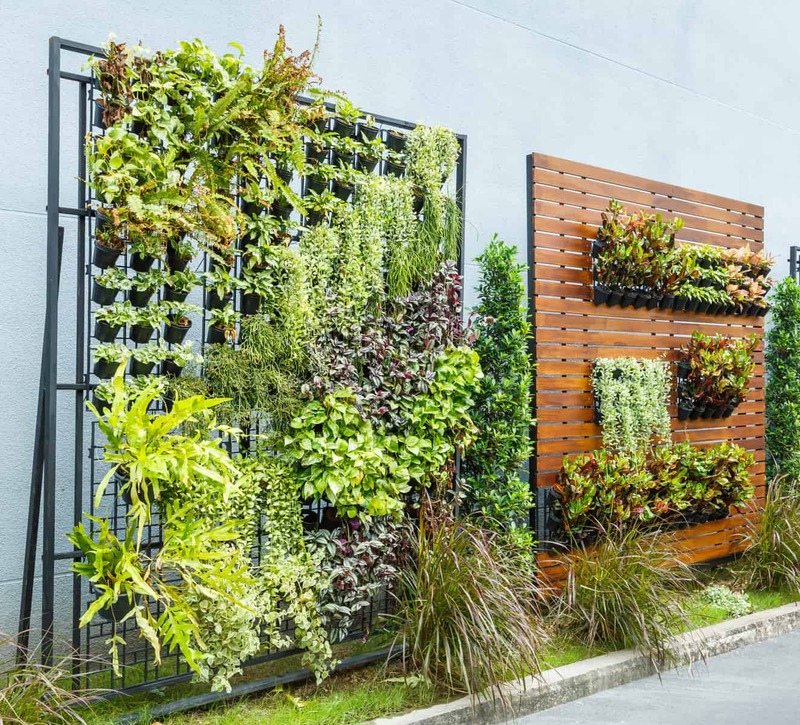 Vertical gardens are sweeping like a tsunami over the agricultural landscape as more people look for alternatives to traditional growing methods. We’ve collected a dozen cool VG designs from which to choose, to get you growing with your own vertical garden. No guesswork or trial and error here. We realize not everyone has room for a traditional garden so we did our homework and asked the experts to give us 13 fruits and vegetables that grow really well in containers. The plants on this list are time-tested and proven to be fun, easy to grow, and productive. Amaze your friends with your flower power cre8ivity! Gardening is as universal as it is personal. This year, express yourself and be earth-friendly too by repurposing your old and broken flowerpots and other items to make your flower garden pop. 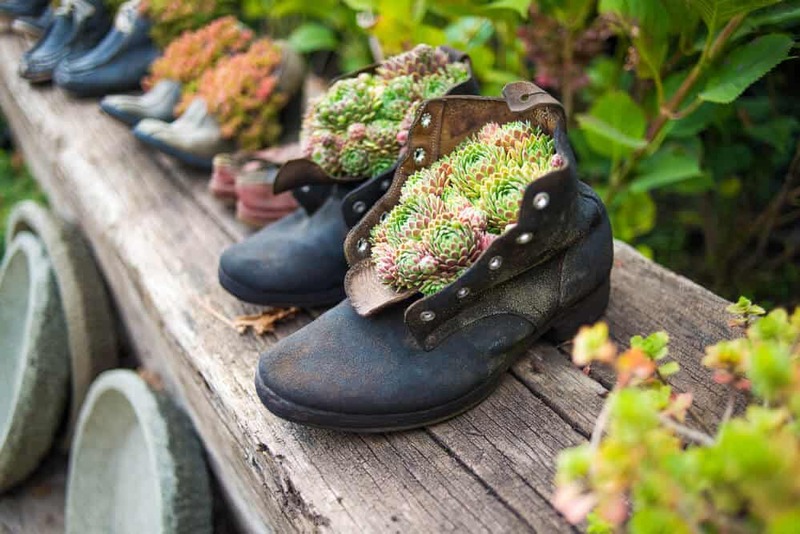 Here you’ll find 31 clever flower containers comprised of everything from worn out old shoes to antique toys and more, all guaranteed to make your flower garden eye-catching and unique. You’ll save time and money by growing your very own indoor herb garden. ODP has collected over 30 ingenious ways of bringing the magical power of herbs indoors and placing them at your fingertips. Follow this link to see what inventive ways other growers are using to display their mini gardens. Take your indoor flower garden to the next level... up! With nearly twenty uncommon ideas to give your indoor vertical flower garden a lift, you’ll not only impress yourself and your friends, you will beautify any room in the process. In many ways, traditional greenhouses afford the gardener a multitude of advantages over outdoor gardening. Greenhouses are practically impervious to weather conditions, less prone to attack by garden pests, and allow for a variety of flora and fauna to be grown. A plethora of greenhouse kits are available for purchase so we’ve compiled a handy list of them and included reviews to help you sort it all out. 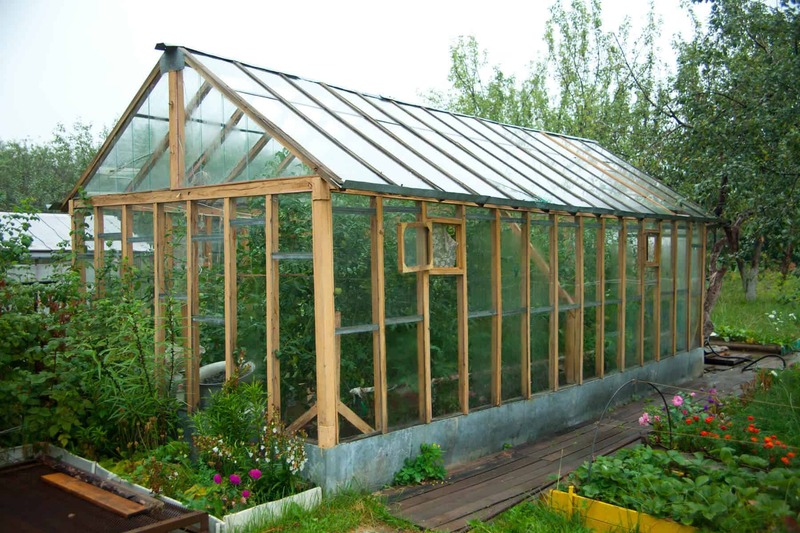 Perhaps a traditional greenhouse is just too much for the area you have available for gardening. In that case, you’ll appreciate these innovative and thought-provoking ideas showing how you can construct an effective mini greenhouse while saving you some money. If you fancy yourself a handyman then tool up because we’ve got plans for you. On this page, we show you what you need to know to get started. We cover the basics, from materials to structure to heating and even throw in a few styles. If you plan to garden year round but live in an area that produces cold winters, you’ll need to consider ways of keeping your greenhouse warm during those periods. There are several ideas and options available and ODP has conveniently laid them out for you here. 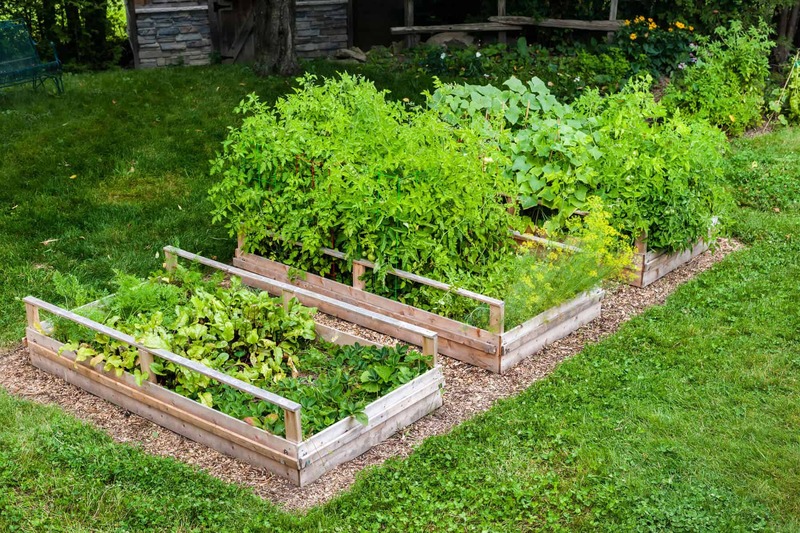 Raised gardens are becoming more popular with each passing season. These self-contained mini gardens are perfect for the gardener with limited space, or for those who prefer not to work a traditional garden. Learn more as you explore 10 of these little islands of beauty for ideas and tips on how to design your own raised bed garden, replete with color photos. The ugly duckling becomes a swan when funky old wooden pallets are transformed into objects of beauty as natural flower planters. Follow this link to see 20 earth-friendly ideas that not only function well but also look great and are environmentally friendly to boot. ...is not only smart but naturally saves you money. 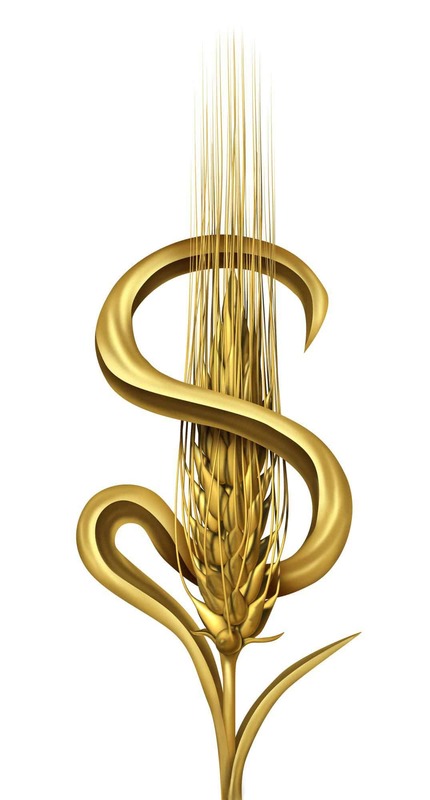 With that in mind, we have listed 10 common sense ways that allow you to garden more while $pending less. Each year more than 60 million tons of tomatoes are grown in the United States. This is more than apples and watermelons combined. With some 10,000 types of tomatoes in the world, there just isn’t time to try them all. Given that, we’ve compiled a list of 11 of our favorite offbeat tomatoes you may not know but might want to grow in your garden this year. These tomatoes were hand-picked for taste, looks, and overall coolness. The beauty of tomatoes goes beyond mere aesthetics. Picked from the vine and eaten on the spot is not an uncommon thing in a garden of tomatoes. In addition, the sheer number of dishes and recipes calling for tomatoes in various forms is seemingly endless. 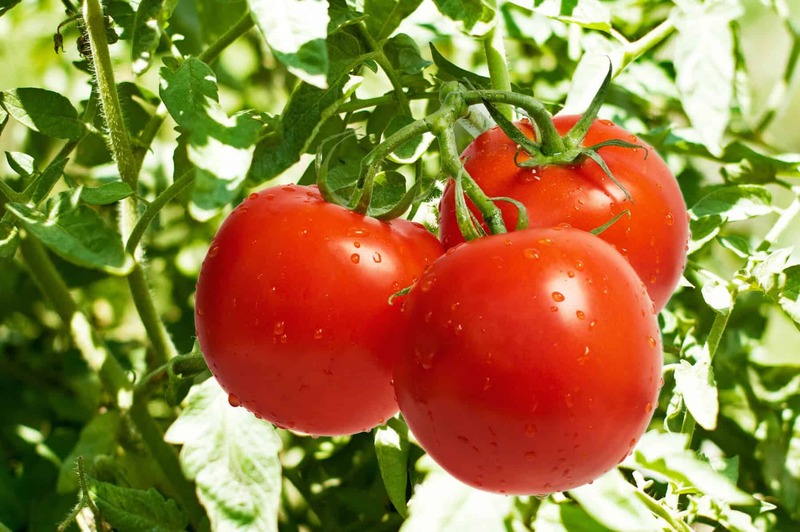 Growing tomatoes indoors can provide a steady supply of this most popular fruit year round. Here’s how to do it. If you want to get the most from your gardening efforts and the tomatoes you’ve planted, you will need to trim your plants on occasion. Outdoors or in, here are some helpful trimming practices to ensure your tomatoes stay healthy and produce an abundant yield. 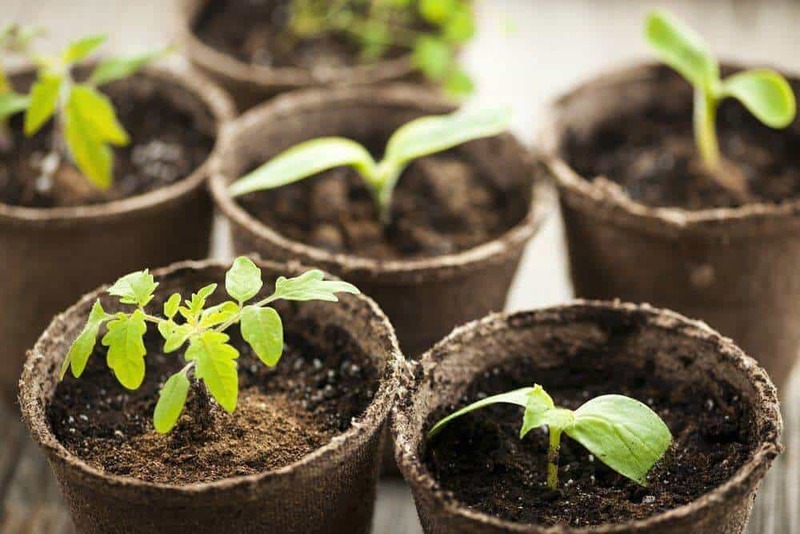 While many gardeners buy young tomato plants to transplant into their gardens, some growers prefer to control the entire process by starting their plants from seed. If you’ve thought about it but never tried, maybe this year is the year. This detail-filled article tells you step-by-step how to successfully germinate your tomato seeds. 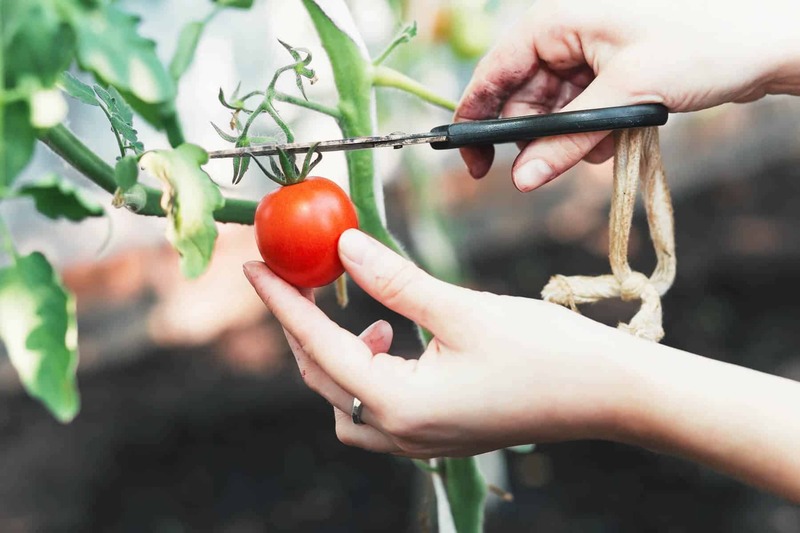 In this next article, you’ll learn to spot fungus, recognize early and late blight symptoms, and more simply by reading the leaves of your tomato plants. 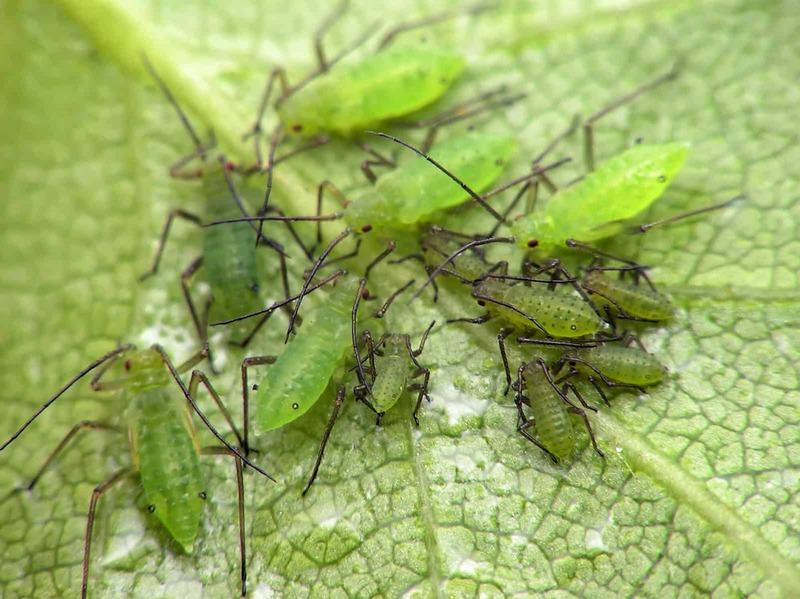 Discover what harm mites and aphids do in this closer look at what your sick plant may be trying to tell you. WE’LL START WITH THE ODD as you read about one man’s remarkable invention that not only creates crazy rich compost; it heats his hot tub year round for free. And hotter yet… you can make one too! Every now and then some new way of growing comes along that makes you ask how anyone ever came up with that. STRAW BALE GARDENING may sound strange, but it’s also one of the coolest ways of growing ever. It would seem there is no limit to the innovative spirit within those who love to grow. Learn how here. WORKING OUT TO GET IN SHAPE can become frustrating and tedious. What if there was a way to tighten up, lose weight, and become more fit - all by doing something you already love to do? Sound too good to be true? Well, it’s not if you love gardening. Check it out. ORGANIC GARDENING isn’t as scary as you may think. Even if it were, we’ve taken the fear out of it in one smart article. 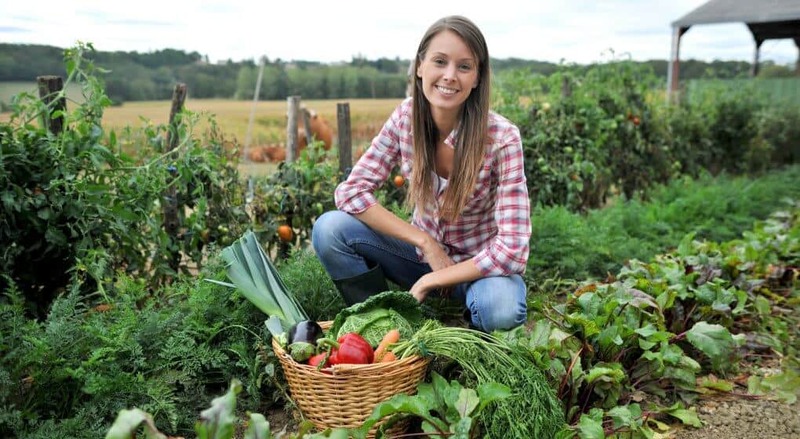 You’ll learn what to do and how to do it in this easy to follow how-to on becoming a successful organic gardener. IT IS WELL DOCUMENTED that having lovely plants in a home or room can positively affect our mood, lift our spirits, and even soothe our souls. Plants are much more than just plants, as you will learn in this in-depth article. THE SCIENCE BEHIND CULTIVATING your own urban garden is covered in great detail in this eye-opening essay. A must-read for the serious urban gardener. DISCOVER ALL THE HIDDEN BENEFITS of collecting rainwater for your houseplants or garden. We show you where to do it, how to get it to your plants, why it benefits the plants, and how it saves you money in this entertaining and informative article. READ THE INCREDIBLE STORY of Paul and Elizabeth Kaiser to learn how this amazing California couple generates $100,000 a year from their tiny one-acre farm. THE FAMILY THAT GROWS TOGETHER GROWS TOGETHER when parents and children interact in organized outdoor activities. From gardening to birdhouses, we’ve compiled a list of creative and fun projects your family can do together that is both earth-friendly and bonding. WE SHOW YOU 5 WAYS TO CREATE outdoor garden spaces where you don’t really have room. From earth boxes to hanging flower baskets, one of these clever ideas is sure to be just what you need. Merely follow this link. 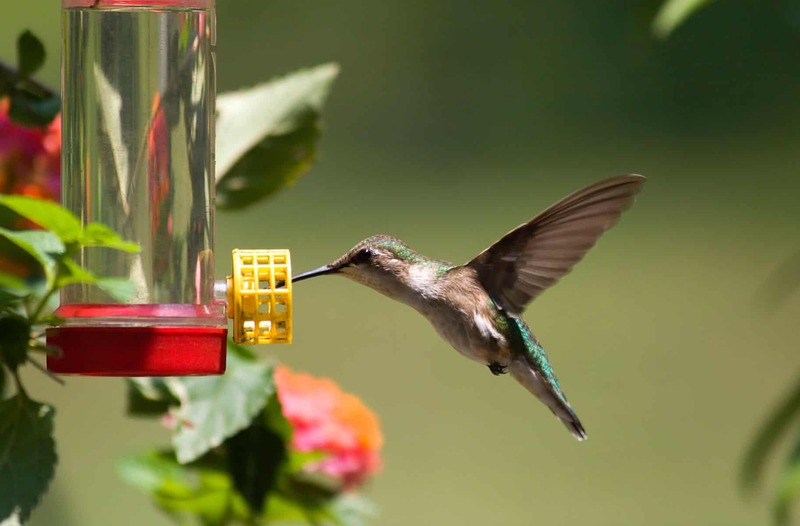 THESE TOP TEN TIPS TO ATTRACT HUMMINGBIRDS will help transform your yard or garden area into a living rainbow of color and fascination. BEING BUGGED IS A GOOD THING when the bugs are there to help save your plants. Try this natural way of attracting the good insects to your garden in this informative how-to piece. IT’S NATURE VS. NATURE when the good bugs take on the bad bugs in this all-natural battle royale. You’ll gain a wealth of insight, knowledge, and planting tips on how to lure the good ones to your garden and help keep the bad bugs away in this comprehensive and informative article. From insect-proof garden fabric to natural biological warfare, this article has it all. Lastly, check out our gift guide for gardeners if you're looking for the perfect gift for a beloved gardener... or yourself!